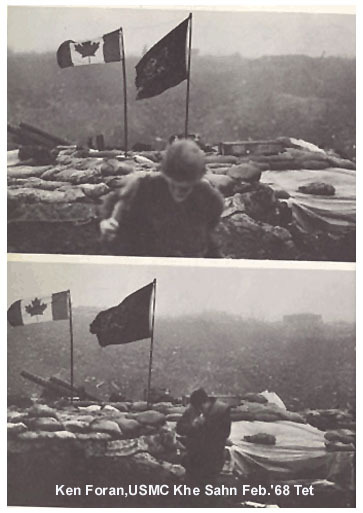 Through the Canada-United States Defence Production Sharing Agreements, industry in Canada furnished some $2.47 billion worth of war material to the United States between 1965 and 1973. The records of the agreement do not provide, however, a comprehensive picture of Canadian arms sales to the United States. In 1972, for instance, when the figure for sales under the Agreements was $175.0 million, Pentagon sources indicate that U.S. military procurement in Canada totalled at least $226.0 million. This increase in U.S. purchases in Canada coincides with the escalation of the Vietnam War. In 1965, purchases in Canada jumped 55.6 per cent. "Peace in Vietnam, if and when it comes, would hit Canadian aerospace factories hard," declared David Goldmen, President of the Air Industries Association . "Right now the demand for some items by the U.S. military is so acute that competitive pricing takes second place to fast production capabilities." (Financial Post, September, 1967). On the basis of an official Pentagon survey of contracts worth $200,000 or more for the years, 1968 to 1974, it appears that at least 37.5 per cent of all Canadian defence sales ($447,023,000) consisted of materials destined for the Southeast Asia theatre. Decoding Pentagon and other confidential sources determines that each of the Canadian products in the accompanying list were contracted for by the United States and shipped to the Indochinese war theatre. Webspace Provided By: Tripod Inc.